Sunflower Fields are found between Lopburi and Saraburi along the Phatthana Nikhom–Wang Muang route. From December to January (Thai winter season), the sunflowers along the road attract all passersby when they are in full bloom. Short Description: There are over 10,000 acres of sunflower fields in Amphoe Phra Phuttha Bat, Kaeng Khoi, Nong Don, Nong Khae, Muak Lek, and the most in Wang Muang. 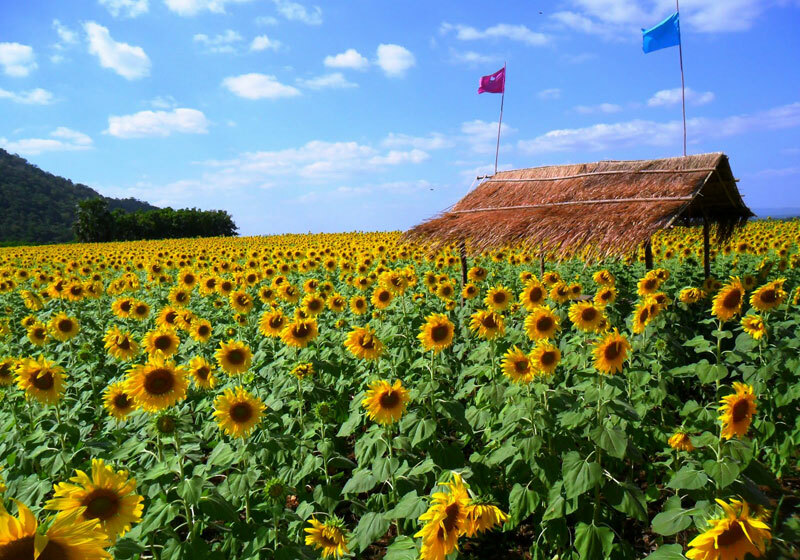 On the border between Lop Buri and Sara Buri Provinces, along Pattana Nikhom - Wang Muang Road, more and more sunflowers are being planted every year for the blooming sunflower festival, which is now spreading to other districts.